Refractive cataract surgery is a customized cataract procedure now offered at Vance Thompson Vision in Sioux Falls, SD. Our board-certified ophthalmologists Drs. Thompson, Berdahl, Greenwood, Swan and Baartman were among the first providers to offer refractive cataract surgery in this region of the United States, and they also participated in its clinical development. In this advanced approach to cataract care, patients are able to benefit from the most advanced diagnostic technologies available today. These combined with a comprehensive variety of advanced implants to fit their visual goal and lifestyle after cataract surgery and the same technologies used to make LASIK surgery as predictable as possible create an opportunity for as much spectacle freedom possible. From new ways to measure significant visual changes before cataract surgery to the ability to monitor each micro-detail during cataract surgery, patients should be certain to understand all of their options prior to surgery being performed. For more information on the difference quality technology can make in cataract surgery click here to review our 21 Point Checklist for Cataract Surgery..
Refractive technology allows our surgeons to plan and perform cataract surgeries with laser-like precision whether they utilize new laser methodology or innovative precision approaches to the most detailed portions of cataract surgery . These methods cataract surgery help the surgeons of Vance Thompson Vision experience more control and flexibility. Vance Thompson Vision is proud to have played an instrumental role in developing advanced cataract surgery procedures that have led to refractive cataract surgery. The surgeons at Vance Thompson Vision have participated in the clinical development of this new laser and many vision technologies. 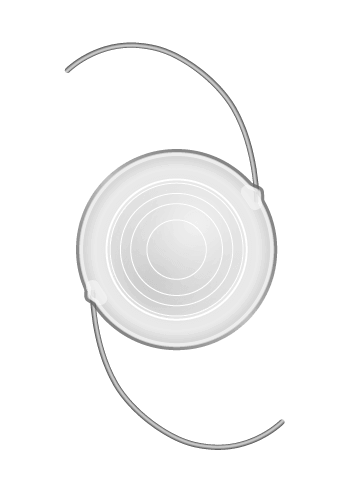 By reviewing this information, you have taken an important step in educating yourself about your cataract surgery options. If you'd like a consultation, please contact our office today for an evaluation.